“Oh, Barcelona…” or “Barcelona? Why?..” – those were the two most common responses I was getting from people with whom I spoke about our upcoming vacation’s destinations (nobody questioned London though). I cannot explain why we had chosen Barcelona. I guess, we’d heard it was a beautiful city and thought of visiting it one day. Looking from here, Barcelona seemed really close to London – so we decided it was a good combination. Since on that trip I didn’t have any fellow-perfumistas to rely upon their account of events, this part shapes to be a longer post. I’ve spent disproportional amount of time trying to find a nice place to stay: though it was a couple of months in advance, there were almost no vacancies in the suggested areas; and owners of those several acceptable apartments that I found were not responding in a timely manner (I have to mention that with the London flat everything worked like a clockwork – through the same sites). Finally, I rented something that seemed like a good choice. We had a late flight in, so to the arranged place of meeting with the owner we got closer to midnight. We got from him keys and instructions to our taxi driver as to where to take us; and that was when we learned that we’d need to walk to the apartment since it was on a pedestrian street. I don’t know how it is in areas where you, my readers, leave but in both countries, in which I have experience living, a neighborhood that looks like that would not be considered safe by any stretch . So we didn’t feel safe at all. I think we looked so miserable that a group of young tourists passing by took a pity on us and helped us to locate the building we were looking for. That was the lowest point in our trip, and from there it went kind of up: we were still sleep-deprived because of the combination of all the above-mentioned factors, plus remains of jet lag, plus a heavily walking neighbor above us, but we were impressed with this city’s architecture (and I’m not talking just about Gaudi), figured out that the area where we lived (El Born) was quite safe, and found things around to enjoy. On the picture below is the nicer end of the street where we lived (it was closed by the gates during the night and on weekends). I discovered that I didn’t have that many Spanish perfumes in my collection that I wanted to wear or to test on this trip. Carner Barcelona El Born, which I brought also thinking about the possible bottle purchase, smelled better than the namesake area where we stayed, but I’ll need some time to disassociate these two to start enjoying this perfume again. Ramon Monegal Impossible Iris was just perfect, and I enjoyed wearing it but I already have a bottle of it. I’m not sure why I didn’t bring any other samples of Monegal’s perfumes that I have: I’m sure I could have worn Cuirelle or Pure Mariposa but somehow I didn’t think of them. But I compensated not bringing enough perfumes to wear with testing. 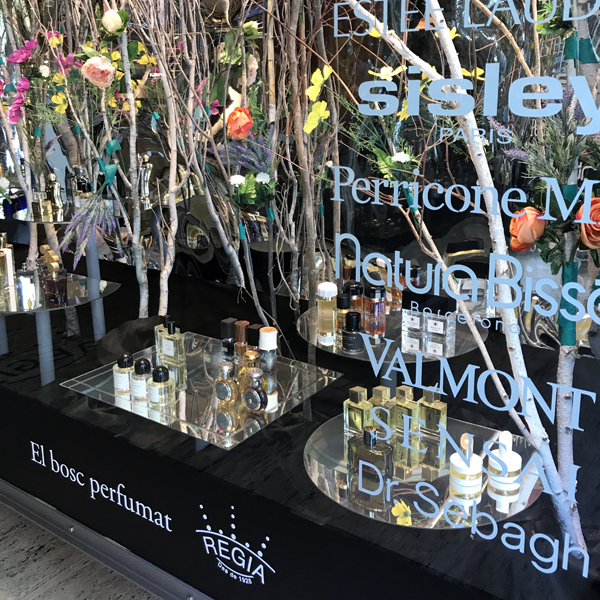 Before I came to Barcelona, I didn’t realize how many good perfume shops that city had. I visited three exceptional niche perfumeries, and each of them was worth the time spent. Even if one comes from such place as London! Situated in the extremely touristy place (a minute walk from Gaudi’s the Casa Batlló, it feels more like a perfume department in a luxury department store than a true niche place: though it carries a lot of niche lines, SAs are not too personable, and the space looks impassive. But I managed to test many perfumes, including the line I hadn’t had a chance to test before – Memo. I liked at least several “leathers” and plan to buy some samples to get to know those better. One more line, about which I haven’t heard before – Rosendo Mateu Olfactive Expressions. I liked a couple of their perfumes on paper – No 2 Lavender Spicy Chocolate (Fragrantica chose to put commas between all three ingredients in the name, and I wonder what they thought “spicy” meant in this enumeration) and No 3 Neroli Iris White Musk, but didn’t get a chance to try them on skin. Perfumeria Regina is also a home for the Perfume Museum. There’s not much to tell about it but a lot to show – so I’ll do a separate post to share pictures I took there. 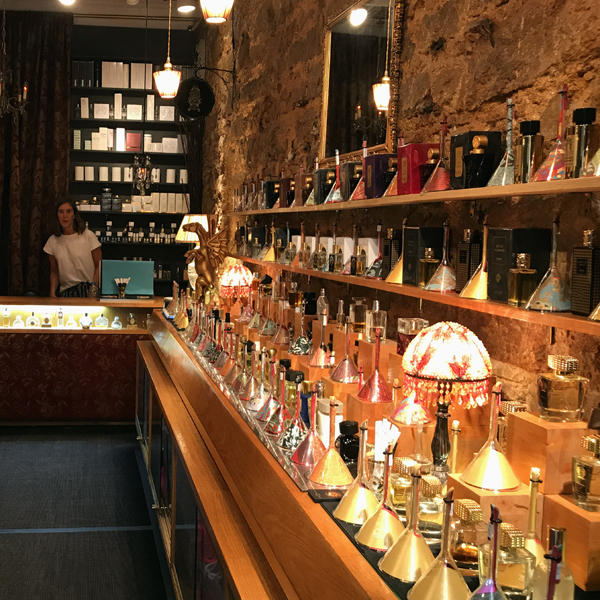 This small shop in the Gothic area of Barcelona was probably one of the most surprising perfume shops I’ve ever visited: by rough estimate, I didn’t recognize 80% of everything they had to offer. From what I could surmise, they do not present the complete line from the brands they carry but rather handpicked fragrances. All of them are offered to smell from the funnel-shaped glass testers, which was more convenient that sniffing the sprayers. Either my perfume tastes did not coincide with tastes of their collection curator, or I’m just not prepared to discover a diamond in the rough with that number of potential diamonds but while I liked many of perfumes I smelled, especially their masculine part of the collection, I didn’t love any of them enough to put on skin. Two that I tried on my vSOs wrists I liked but not enough to even write down the brands or names properly. 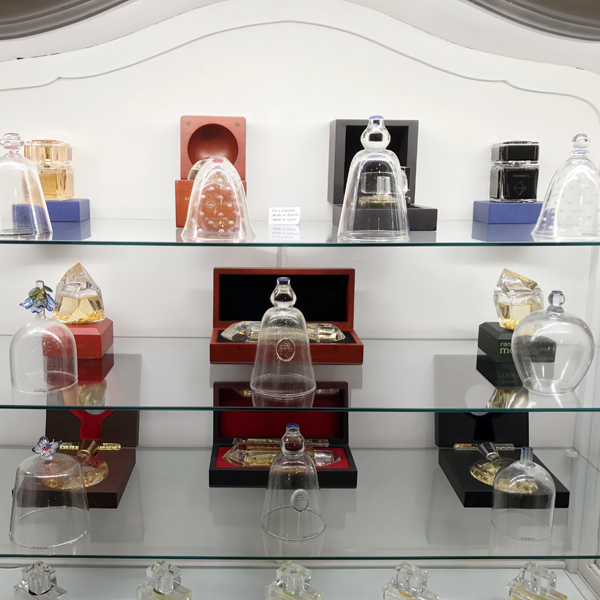 The gallery claims to have the biggest selection of niche perfumes in the World. I don’t know if anybody questioned that statement but for all I know it might be true, especially if we talk about stand-alone perfume shops. Once we came there, I dispatched my vSO to the relatively comfortable armchairs where he could wait for me and started methodically sniffing through the collection presented via sprayed crystal bell-formed testers, marked on top red, navy or half-and-half for feminine, masculine and unisex fragrances. After I’d been through a couple of cases, a very friendly SA asked me if she could help me to find what I was looking for. Hopefully, in the same friendly manner I informed her that I was just going to sniff my way through the collection (I didn’t feel bad because I wasn’t even spraying any of the perfumes, all bells were already pre-sprayed). “Are you going to go through all thousand and <I don’t remember the exact number> perfumes?” – I won’t try to describe the tone, with which she asked that, but you could probably imagine it. I was completely unflappable: “I’ll skip those, with which I’m familiar” – and I returned to my exercise. 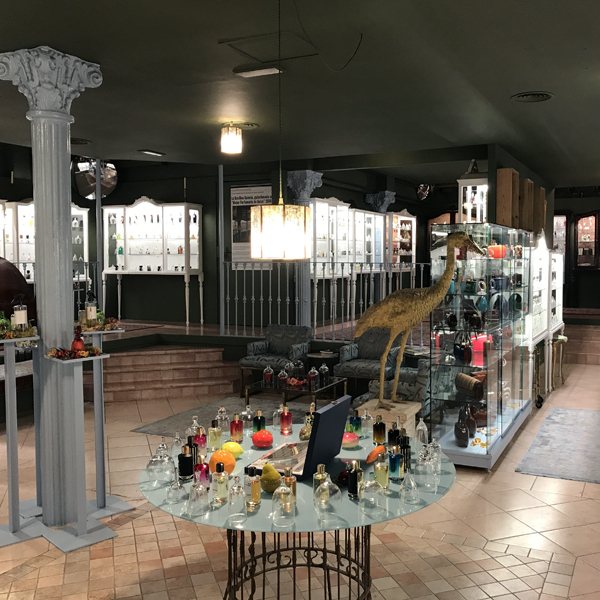 I think that La Basilica Galeria has a nice selection of niche perfumes with a good mix of more and less popular brands. But the way they present perfumes isn’t suitable for finding perfumes on your own. 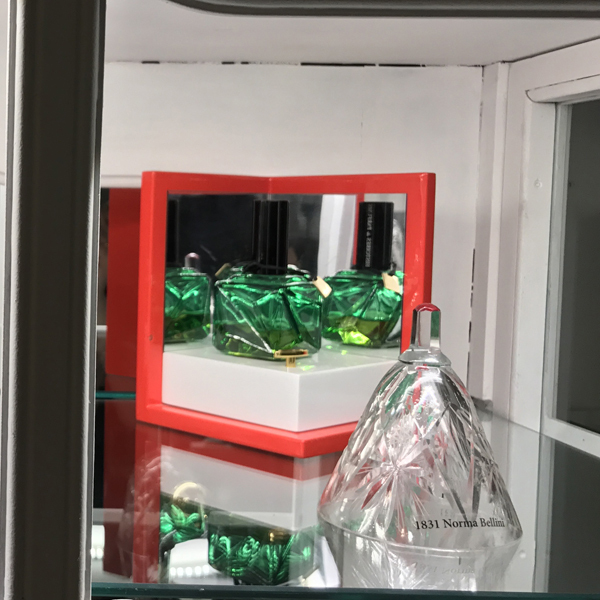 As I discovered when I tried to spray one of the perfumes in its bell to refresh the scent and get top notes more prominently, I wasn’t supposed to do that: they spray those perfumes on some schedule, writing it down and checking for how long those lived on the glass. The SA proudly told me that some of the perfumes were sprayed once a week… While I agree that perfume should not be judged only by its top notes – the way that mass market perfume industry would like us to do, 2-3 days old leftovers on glass surface definitely isn’t what any perfume should be judged by either. At that point I realized why most perfumes I tried by then weren’t “my cup”: my favorite floral top notes just do not live that long. After I asked, I was given some paper strips to test those perfumes that I wanted to try fresh but I could test only those, base notes of which survived nicely and were to my liking – which probably also wasn’t the worst criteria for choosing what to test on paper or skin. 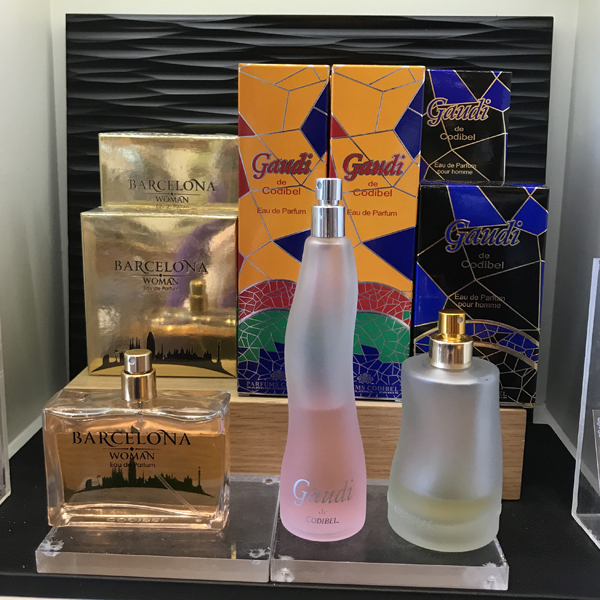 Though between the three major perfume shops I visited, I sniffed my way through about 650-700 fragrances, there were just several that interested me enough to consider for a catch from my trip to Spain. 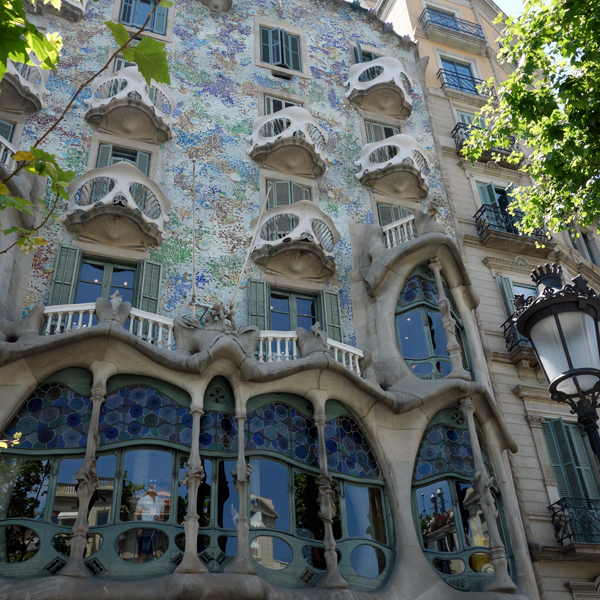 I considered buying Gaudi de Codibel perfume for the whole 15 seconds that it took from me spotting it in the gift shop of the Casa Batlló to locate a test strip, spray and smell it. Had at least the bottle been a little more imaginative or better quality, I could have bought it just as a souvenir since we both quite enjoyed this museum. But both the scent and the packaging were beyond the exploitation of the famous name. S-Perfume 1499 smelled very pleasant (jasmine sambac, myrrh, labdanum, olibanum, vanilla and amber – what’s not to like, right?) but everything else worked against this perfume: brand being either American (created) or Japanese (located now); the name is as non-descriptive as they come when the brand that isn’t Chanel decides to use numbers; and finally the bottle design just doesn’t suggest the price point, at which they position themselves. I liked Paul Emilien Premiere Danse but since it’s a French brand, with which I wasn’t familiar before, I decided I’d look for a sample and test it more. A Bulldog in the Atelier from a Spanish designer Teresa Helbig seemed like a good fit for the purpose of my search. Why didn’t I go for it? I got distracted by the Memo line, perfumes from which I didn’t plan to buy in Barcelona, and didn’t get a chance to test it properly. So with me not being a fan of that breed, it felt like I needed more time with this fragrance before exposing Rusty to it (though I liked the name). Both my vSO and I liked Ramon Monegal Next to Me but I got confused with the name: judging by the list of notes and packaging, this one isn’t the same as Dubai Next to Me but, other than on Fragrantica, I cannot find any information about this one… And I’m not a huge Monegal fan (Impossible Iris is the only perfume from the brand that I like and wear). The last two perfumes seriously tempted me despite the wrong country of origin and stupid names: 1831 and 1926. For those of us who is not versed in music history: I’m talking about 1831 Norma and 1926 Turandot by Histoires de Parfums. I tried and was completely enchanted by these two in the parfum extrait version. They both smell to me like classic perfumes. My vSO and I had different preferences for these two (I liked Norma a little more), it is a French brand, and they were more expensive than I felt comfortable spending on the spur-of-the-moment bottle. But only a coupon code, which I hope to get in e-mail soon, stands between me and the Order button on one of the decanter sites for these samples. Barcelona leg of our trip was … trying. On the first morning we were ready to cut the losses and try to find our way back home. On the sixths morning, as we were leaving, we didn’t feel sad. 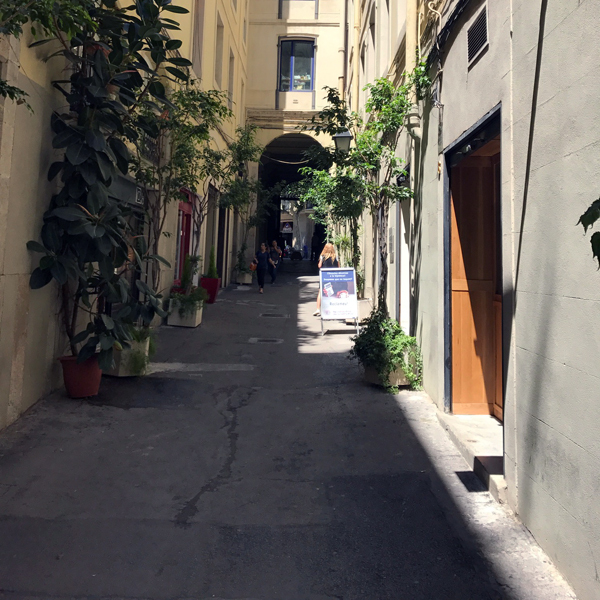 But in between we had some positive experiences, and we both agreed that this city was worth re-visiting one day – provided we can find some more modern and soundproofed lodging. Until then I have perfume to remind me about the good, the bad and the ugly of this vacation. Which one? I’ll tell you soon.